I enjoy romantic walks under the moonlight as much as anyone, but being distinctively single, I’ve been going for walks alone, perhaps hoping for a random encounter with a beautiful woman. Here are some photos I’ve taken along the way, all made pretty via Instagram. 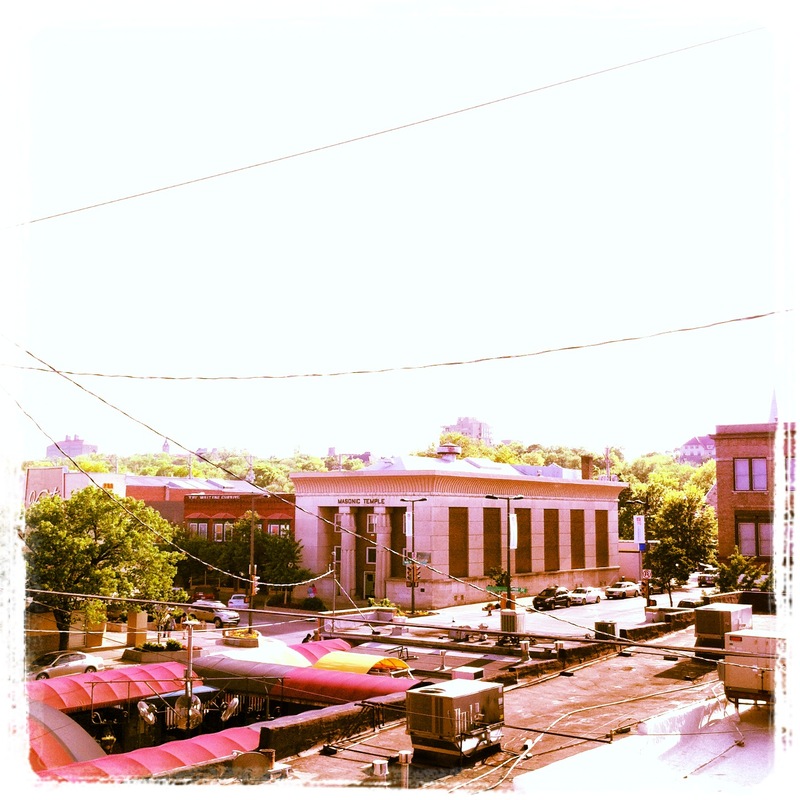 A view of 10th and Mass from the top of the parking garage downtown. Later there will be a drunken mob wandering about, looking for love. Perhaps they’ll find it under the tarps at The Replay (in the foreground). Liberty Hall–temple of the film nerds. Seriously, the Film Church series is super-cool. It’s too bad I have to work on Sundays right now. La Prima Taza. Next door to Liberty Hall and Free State Brewing Company. 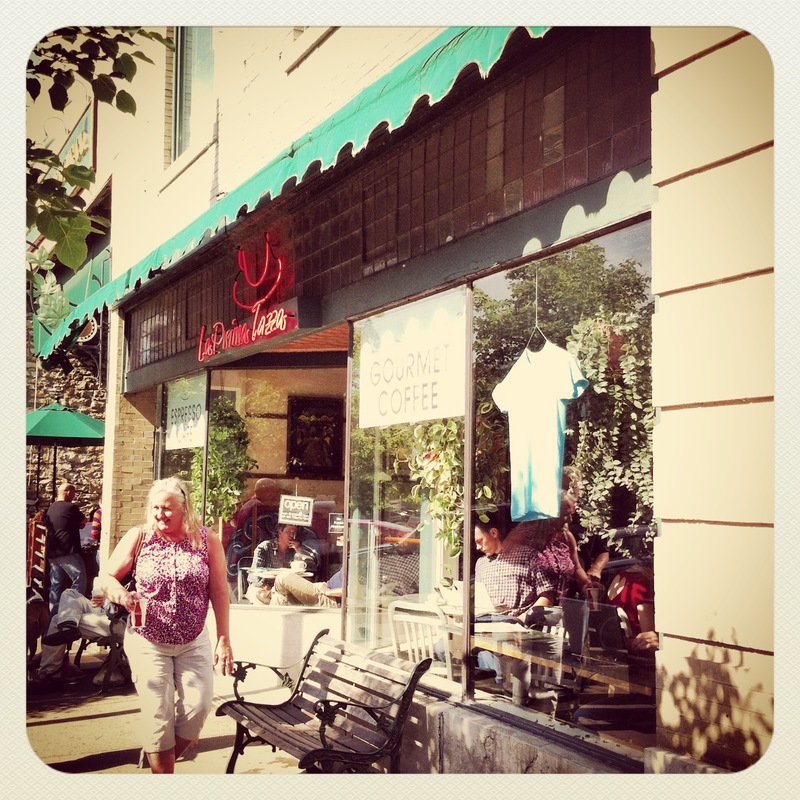 You can sit outside and enjoy the view of Starbucks across the street. 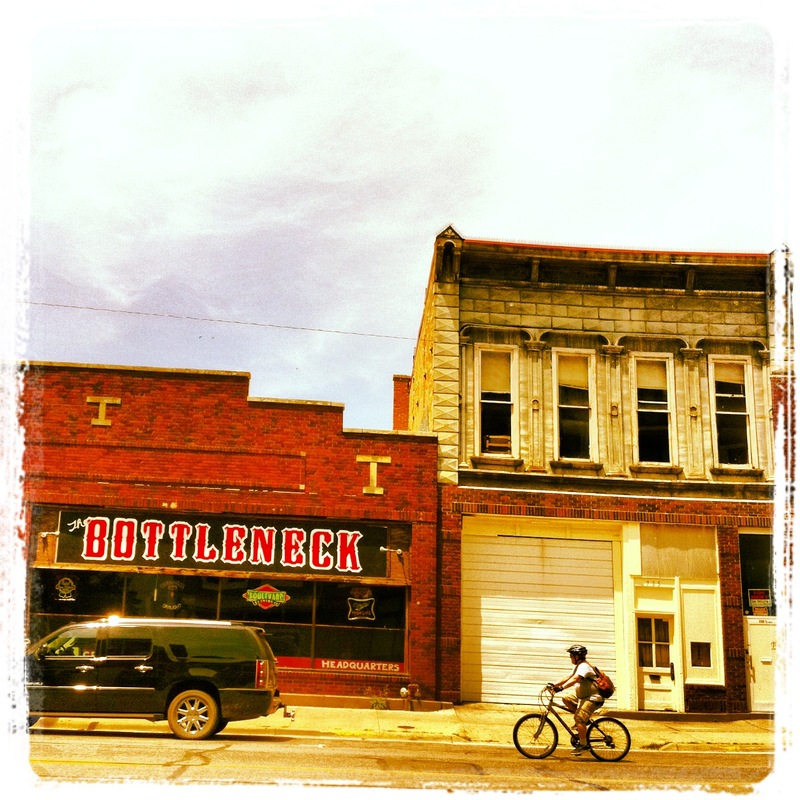 A bicyclist in front of The Bottleneck. Maybe he’s on his way to meet his girlfriend for a game of pool. I don’t go to The Bottleneck much anymore, but there were some great bands that came through in the ’90’s. 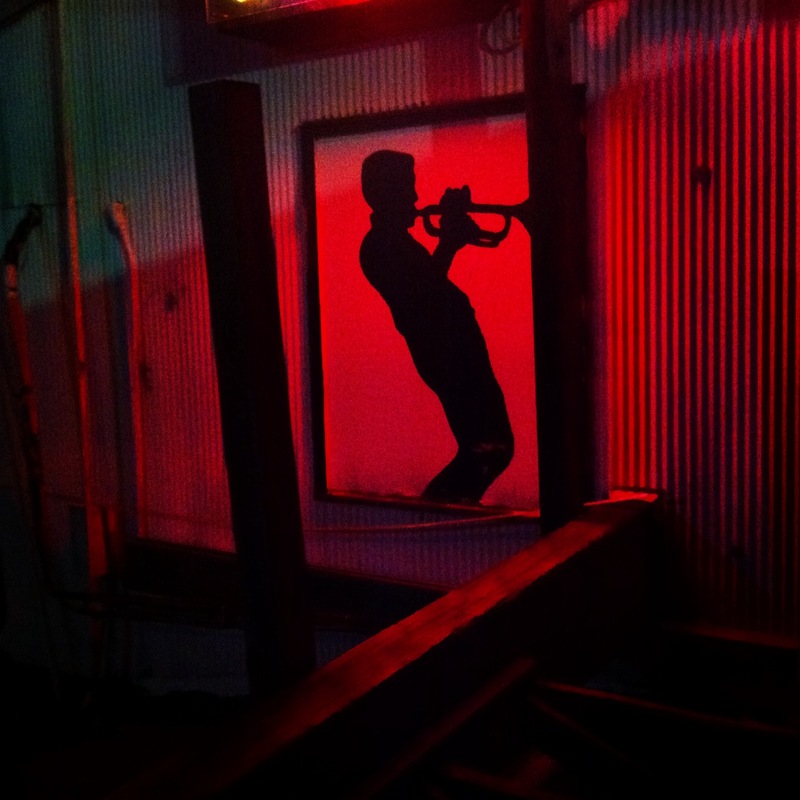 A silhouette of a trumpet player outside of The Jazzhaus. Looks like he’s playing the blues because of a broken heart. His woman probably did him wrong. But you know how Jazz musicians are. She had an excuse. 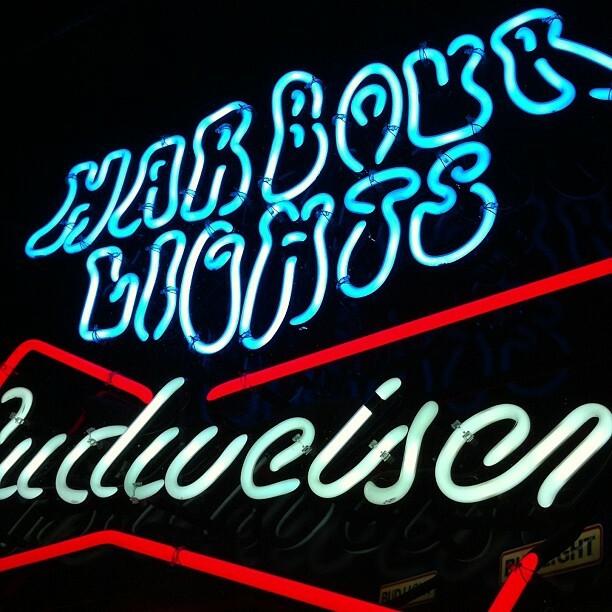 Harbour Lights. If I could get paid for sitting in a bar drinking beer, I’d be making a good living right now because of this place. 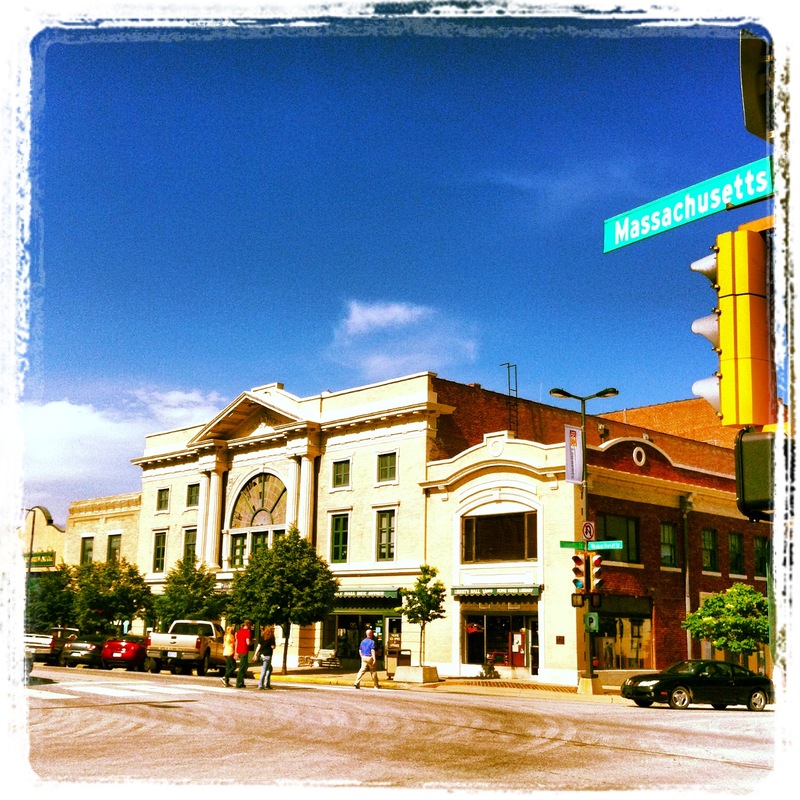 This entry was posted in Coffee, Movies, Nightlife and tagged Kansas, Lawrence, Mass. St, Photos by jgriffin1750. Bookmark the permalink.